Hobe Sound is an unincorporated area of Martin County, FL, centrally located between Jupiter and Stuart, with a population of 11,500 people (per the 2010 census). Best known for its attractive scenery, Hobe Sound boasts 11,500 acres of park system, several championship golf courses, and the largest limestone formations on the Atlantic Coast, making it the perfect location for those looking to get away. Grab your friends, family, and clubs, and embark on an unforgettable journey through one of Florida’s most treasured destinations! Click hear to learn more about Hobe Sound. Hobe Sound was home to the Native American Jove tribe before Europeans made contact in 1669, when the British ship Reformation sank on its voyage from Jamaica to Philadelphia. The 25 crew members who survived the event encountered the Jove and ultimately received aid. By 1699, the territory received its name. During the early 1900s, Henry Flagler’s railroad built along Florida’s east coast brought economic opportunity to Hobe Sound, spurring tourism and other commercial industries. The Olympia Improvement Corporation sought to fashion Hobe Sound as a motion picture production center with Greco-Roman-inspired themes, such as streets bearing the names of the Olympian gods, during the Florida land boom. The city adopted the name “Picture City,” but was eventually restored following the 1928 Okeechobee hurricane and subsequent collapse of the boom. Today, Hobe Sound enjoys a secluded existence with a predominantly upper-class community, housing residents such as Celine Dion, Tiger Woods, and Burt Reynolds—to name a few. Did you know… Hobe Sound was the location where then President Clinton fell at golfer Greg Norman’s estate? Hobe Sound remains a premier Florida destination for travelers the world over, offering some of the best outdoor excursions in the state. A top favorite is the Blowing Rocks Preserve, a limestone beach in which water is forced through holes in the rocks up to 50 feet in the air during high tide. Residents and guests can also visit the Jonathan Dickinson State Park for some fun canoeing and camping. Don’t miss the Hobe Sound National Wildlife Refuge, Hobe Sound Nature Center, or Peck Lake Park. For golf enthusiasts, be sure to take advantage of the several public championship golf courses. Need to get around? Hop on the Florida East Coast Railway! While there are no interstate roads that dominate Hobe Sound, US Highway 1 travels north to south through the area. Operating vehicles safely and soberly can spell the difference between an enjoyable night out and tragedy. 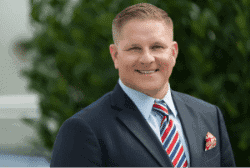 The personal injury attorneys at the Shiner Law Group urge residents and visitors to exercise caution when traveling on Hobe Sound’s roads or partaking in one of its many outdoor excursions. Accidents, intentional or not, can lead to debilitating and sometimes fatal injuries. In the event you or a loved have been wrongfully injured due to the carelessness or negligence of another, the seasoned personal injury attorneys at the Shiner Law Group are standing by to discuss your legal options in a free consultation. Don’t let your experience in one of Florida’s most beautiful locations be ruined by the ongoing stress of an insurance claim. Let us focus on the legal complexities so you can focus on recovery. Have you or someone you love been injured because of the negligent, reckless, or intentional conduct of another? Call us at (772) 777-7700 or contact us online for a free case review. The Shiner Law Group represents personal injury and wrongful death victims in Hobe Sound and the surrounding cities.